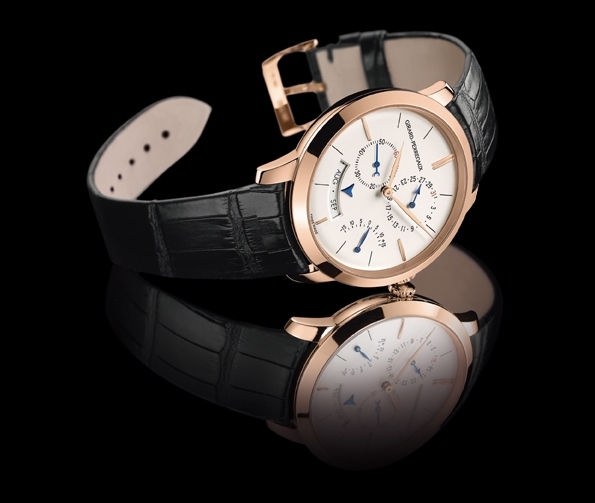 Girard-Perregaux 1966 models pay tribute to the Brand’s great tradition, combining watchmaking excellence with elegant style. 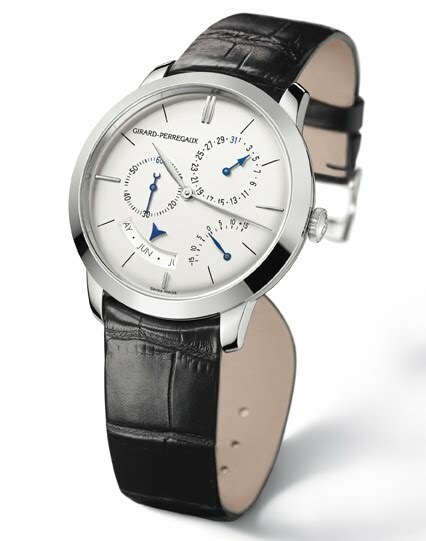 True to this spirit,1966 Annual Calendar and Equation Of Time houses an original mechanism: the calibre GP033M0. The highly practical annual calendar, which in this case indicates the date and month, automatically counts the different lengths of the months, so that only one correction a year is required, every 28 February except for the leap years. With its hand at 4:30 the equation of time indicates the difference between real solar time and mean time or civil time. In fact, the duration of a solar day varies from day to day due to the elliptical shape of the Earth’s orbit. This astronomical complication is based on an ingenious mechanism, including an annual disc with an elliptical cam reproducing the movement of the Earth around the Sun. 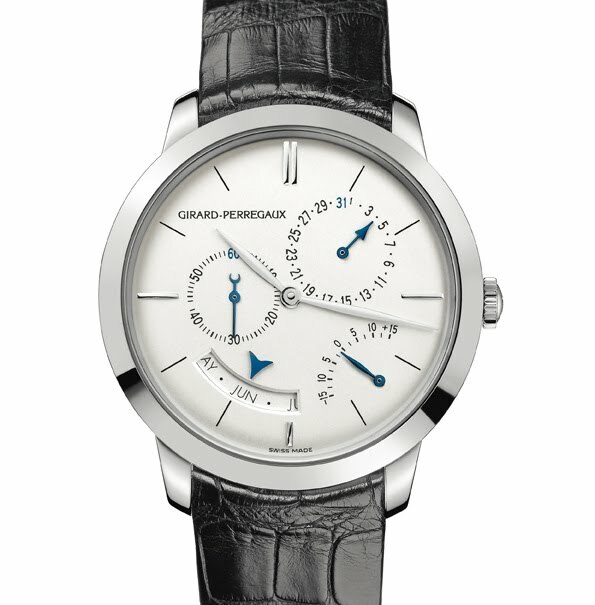 To enhance the technical quality of the model, Girard-Perregaux has fitted it with its Microvar variable inertia balance. On its rim it combines six adjustable screws and two inertia blocks, used respectively for adjusting the balance equilibrium and making a fine adjustment to the movement rate. 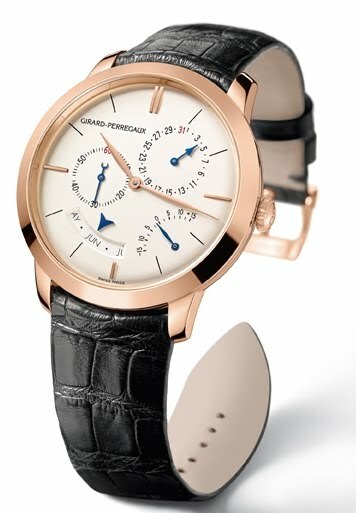 This exclusive development gives increased accuracy and greater setting stability to the Girard-Perregaux 1966 Annual Calendar and Equation of Time. While the sapphire case-back allows to contemplate the movement in its complexity, discretion prevails on the dial side, with the emphasis on an original and highly readable display. Illuminated by the pink gold of the 40 millimetre case, the dial focuses on clarity: “baton“ indexes, thin “leaf“ hands and counters with precisely applied transfers for perfect readability of the functions. With its case and movement made entirely in-house by Girard-Perregaux, this watch has all the assets to seduce fine watchmaking connoisseurs.